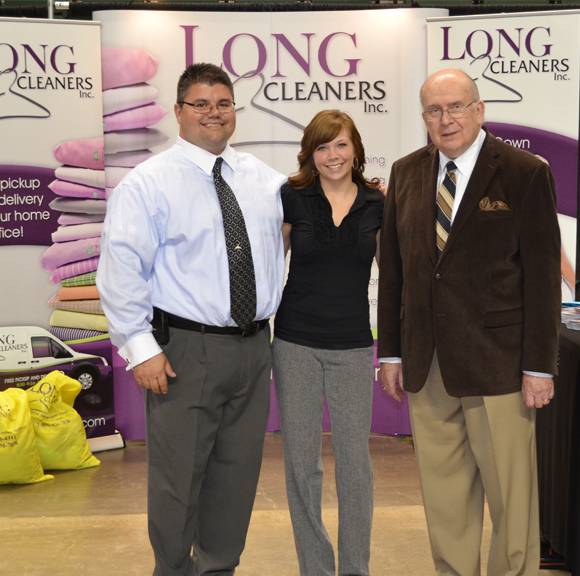 Since 1942 Long Cleaners has served the Dayton area and beyond with exceptional garment and textile cleaning. Originally founded as a tailoring business in 1942, Pat Long grew his business and expanded its services to include Dry Cleaning and Laundry. Today, Long Cleaners provides exclusive services such as Dry Cleaning, Shirt Laundry, FREE Pick-Up and Delivery, Casual Wear, Wedding Gown Preservation & Restoration, Leather, Suede’s, Furs, Drapery Cleaning, take down & re-hang service, Alterations, Fire/Water/Smoke Restoration and more. We have convenient locations in Fairborn, Beavercreek, and Miamisburg plus our closest location is right at your front door! That’s right - our FREE Pickup and Delivery service is the most convenient way for you to go to the Cleaners. Serving: Fairborn, Yellow Springs, Beavercreek, Xenia, Bellbrook, Kettering, Oakwood, Dayton, Centerville, Springboro, Miamisburg, Lebanon, Mason, West Chester, Washington/Miami/Sugarcreek Township, and beyond. Click here for FREE pickup & delivery or stop by one of our locations for all your garment care needs.